These Pirate 3/4 Tights from Compressport are women-specific ultralight compression tights to protect your thighs, knees and calves from fatigue and muscle tear. 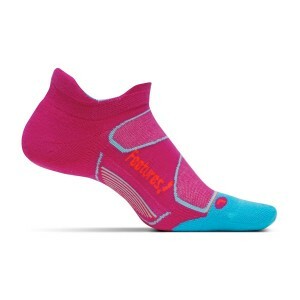 They are also seamless to prevent chafing and keep you comfortable while 360° compression from the shock absorber dampens the shock wave effect on muscles, veins and joints. To attack the ascents, to race downhill and to sprint at full speed, there is no better ally than the Running Pirate ¾, which protects the thighs, knees and calves. It performs through hot and cold temperatures. 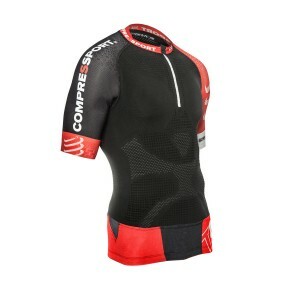 Compression is focused strategically to the millimetre, optimising performance. 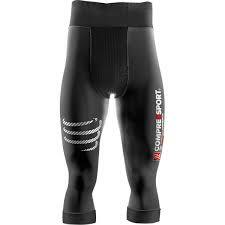 Seamlessly designed it compresses on specific zones of the thighs so you’re your performance is enhanced. Muscle fatigue being delayed, pains and aches are prevented and your legs are fully secured. The fabric being woven in flat over-lock, you get maximum comfort and solidity in the seams of the suit. No chafing is allowed. 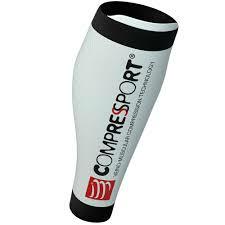 It targets compression in such a way that blood-flow is activated and toxins are eliminated. Moreover the abdominal waistband protects and helps absorb shocks to the low back area. A silicon grip inside the belt prevents slipping during ascents and prolonged effort. A lunar pocket is available to store gels, nutrition and phone. After effort, this pair of recovery tights women eases pain by 100% and reduces muscle stiffness.